It is a truth universally acknowledged that I am not a fan of going out and living the student lifestyle that the media so dearly loves to portray. Most people know that I’d prefer to order a take away, put Radio 4 Extra on, and sit in bed in my pyjamas than go through the hassle of getting ready to go out, pre-drink in our kitchen, then go to a club and…dance. I don’t dance. Clubbing isn’t a thing I do. Unless it’s comedy clubbing. (Tenuous and rubbish link. Sorry.) 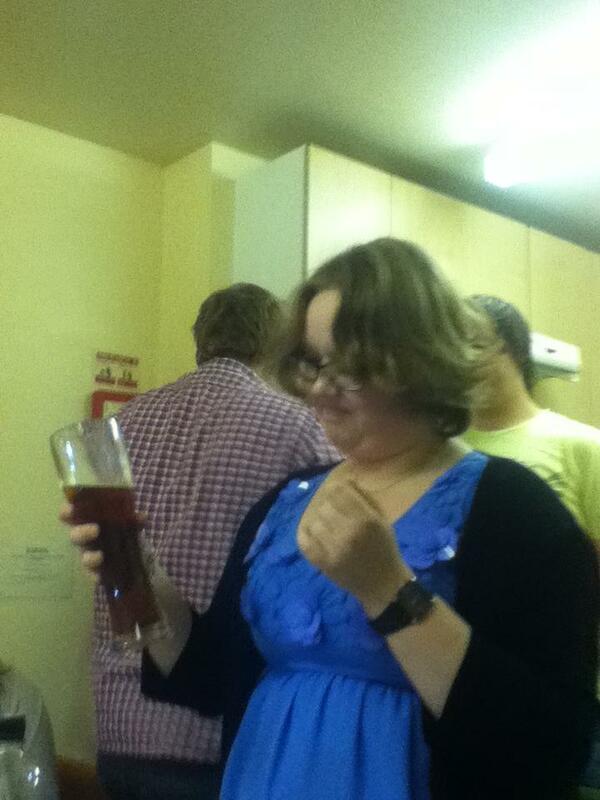 I’m not even big on drinking – there’s no better way to display this than by showing you this awful photograph taken during Fresher’s Week, in which I look condescendingly at a Dirty Pint. I did down it after. There’s a video. You won’t be seeing it. Anyway. ANYWAY. As the oldest girl in my halls, I tend to take on the role of ‘Mother’. I’ll be the one who’ll make sure people get home alright when I *do* go out, or make sure that people don’t go back out when they’ve been brought home after not being let into a club. One memorable night towards the end of last term (when I hadn’t gone out, I stress) ended with me in my dressing gown and a pair of boots, chasing a flatmate down the main road outside our house to get her back into our house to …. This year, I considered being more sociable, but then slapped myself round the face and told myself not to be so silly. There’s a reason that I don’t like going out. That’s what we’re going to explore today, with a little help from the most recent event invite to pop up on Facebook. Nothing like a title to get you perked up and excited, eh? Four and a half hours. It cuts right across 4 Extra’s Comedy Club. This is unlikely to make me want to go. And Wednesdays are mid week. Admittedly, this semester I only have lectures on Mondays, Tuesdays and Wednesdays but that’s not the point. And we’d not even get out of the house until 11:30. This just seems ridiculous. Maybe means no. Know that, for future reference. Seriously. If your big selling point is that no club in the county has ever had more UV lights than you, then it’s time to get yourselves a new marketing person. And what’s with the Random Capitals? Nothing is more likely to put me off attending something than bad grammar in the invite. Just a lightning bolt. 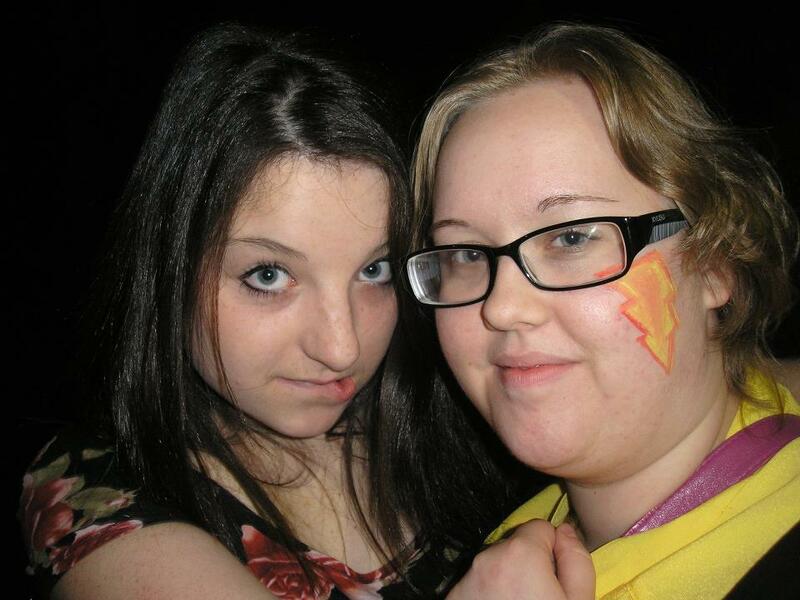 Another of my friends had the TARDIS on her cheek. Don’t even get me started on the Lollipop Girls. It’s not worth it. Oh good. Stage games. An opportunity for one to humiliate oneself in front of ones peers. I do that just fine in everyday life, thank you. Shall we take a closer look at the stage games, just for the sheer sake of it? Yes, yes, you’ve mentioned the UV paint. Move on. Pretty much the only thing I get behind here is the free toast. I bloody love toast. I can’t help but think, however, that giving candy floss and other naturally sticky things to drunk people in a hot, crowded environment is…JUST REALLY STUPID. I’ve had chewing gum in my hair before, it’s a bloody nightmare. This just seems moronic. Cheap drinks to block out the pain and humiliation. I can get behind that. And then you get to relive it a few days later when you’re sober and ashamed. Good-oh. So here’s the thing. I’m currently on a maybe. Do I go along with some housemates to see just how awful a night it’s going to be? Or do I do my usual and get some use out of the hot water bottle I got for Christmas? I’m willing to turn it over to you, the readers. You can vote below. I’ll keep the poll open until I blog on Tuesday (January 10th). ← We’ll Take Twisted Flax Please, Victoria. Just leaving a little comment to say, do what you want to do and be who you want to be always (this includes not being what/who you think other people think you should be); don’t let others have the final say. Be true to yourself, it’ll make you happy. I promise. Zoe, I cannot tell you how much I agree. Enforced fun makes me cringe! Plus, I am on a feminist rampage at the moment, and so think those Lollipop girls are dying inside. Come on girls, just stop. As Caitlin Moran says to pole dancers, you’re letting us all down. (I like to quote Caitlin, in the same fashion people quote the bible).